"Only you and Joe know that I'm Methos the Immortal." I was born in 1592 in the Highlands of Scotland... Sorry, wrong bio. I was born September 5, 1962 in Ruthin, Wales, UK. I earned my undergraduate degree at St. Aidan's College (Durham University) and attended the University of Paris - Sorbonne as a PhD candidate doing classical studies. I speak English, French, German, Russian, Swahili, Lithuanian, Modern Greek, Hebrew, Arabic and Hopi. I also speak Ancient Egyptian, Hyksos, a bit of Minoan, Ancient Greek, Latin, Aramaic, Coptic and Farsi, but I'm quite rusty. You wouldn't believe how difficult it is these days to find native speakers of these languages. My favorite band is Queen (if you haven't already guessed). And my buddy Joe isn't a bad musician either. When I'm not looking for new brands of beer, I work as a researcher for the Western Europe bureau of the Watchers, a secret society of men and women who observe and record the lives of Immortals, but never interfere  well, hardly ever. You can often find me hiding out  er, doing research  in the basement of the Shakespeare & Company bookstore. (left) The Watcher seal. What it's supposed to signify, I have no idea. Perhaps if I drink enough beer, a "W" will appear. I'm all for testing that theory! 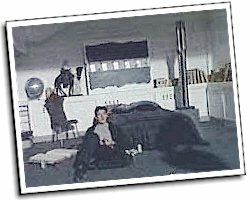 I graduated from the Watcher Academy 6th in my class (out of 103) in 1984 and was eventually given a special assignment to research Methos, the legendary oldest living man on Earth. 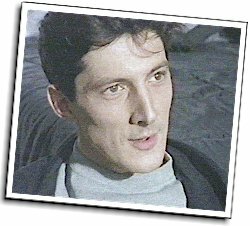 Actually, I am Methos, but ssshhh, don't tell anyone. A lot of people out there would love to take the head of the world's oldest man, so I try to keep a low profile  I was in charge of finding myself, and I made sure it never happened. The plan worked brilliantly for 12 years until my ex-lover Cassandra forced her way back into my life in 1996, and her Watcher found me out. Now I'm no longer in the Watchers. Instead, I have three of my own Watchers tracking my whereabouts, one of whom is Joe's own daughter, Amy.